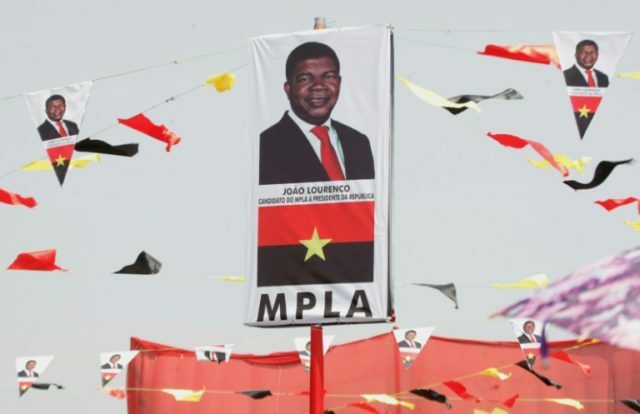 Luanda (AFP) – Angola’s incoming president Joao Lourenco faces a slew of challenges that include dwindling oil prices, rampant poverty, soaring unemployment and the long shadow cast by his predecessor and his family. Angola has been in the grip of an unprecedented economic crisis for three years as the global price of oil has remained flat. Black gold provides 70 percent of Angola’s revenues and almost all of its hard currency meaning that the country’s budget has been thrown into the red by lacklustre international prices. After several years of booming growth, Angola’s growth rate cooled in 2016 and will not surpass 1.3 percent this year, according to the International Monetary Fund. Out of control public borrowing, a currency in free-fall, an alarming lack of liquidity, soaring inflation and mass unemployment are among the reasons that at least two million Angolans live on less than $2 a day. Lourenco has publicly vowed to diversify and open up the economy to secure an “economic miracle”. “Vast segments of the economy have been deliberately closed to foreign direct investment,” said economist Antonio Lopes Pinto. Many believe efforts to revive the economy are futile and doomed to failure because of rampant graft. “We have potential but we also need good governance,” said the head of monthly economics title Expensao, Carlos Rosado de Carvalho. President Dos Santos and his family, as well as the elite of the ruling Movement for the Liberation of Angola (MPLA) party, have bled the country’s coffers dry, according to their critics. Dos Santos’ daughter, businesswoman Isabel Dos Santos, is seen as a symbol of nepotism and was fiercely criticised by opposition politicians after she was appointed the head of state oil giant Sonangol last year. “The president has privatised the state to benefit his family and a handful of associates,” said opposition journalist Rafael Marques de Moreas, who has been critical of Dos Santos’ alleged plunder for many years. Before his election last month, Lourenco promised to fight corruption at every level. “Corruption is a great evil that will not go unpunished,” Lourenco told thousands of supporters ahead of the polls. “Nobody is above the law,” he said recently. But few analysts believe he will be able to tackle the pervasive corruption that touches every aspect of life, especially where vested interests are tied to the Dos Santos family. Before heading into retirement, Dos Santos — “comrade number one” — has been scrupulous to protect his interests. His daughter Isabel is safely installed at the helm of Sonangol and his son Jose Filomeno holds the reins of power at the nation’s sovereign wealth fund. His less well-known daughter Tchize holds a seat on the ruling party’s all-powerful political committee. Dos Santos has also stacked the security forces with loyalists who would be unlikely to cross him, even if ordered to by the incoming president. Crucially though, Dos Santos will retain control over the MPLA itself until 2022 at the earliest, health permitting. The party’s political committee is seen as the true seat of power in Angola and Dos Santos will be able to steer nation and party long after he vacated the presidential palace. The day after the presidential vote, victorious Lourenco publicly denied that he would be a puppet ruler. “I will have all the power. This country will not have two presidents,” he said. It remains to be seen whether that will be the case, regime watchers say. “For starters he will have very little wriggle room compared to his predecessor,” said Didier Peclard, an analyst at the University of Geneva. “Will he keep Isabel at the helm of Sonangol?” asked Benjamin Auge, of the French Institute of International Relations (IFRI).